Below is a list of study references that are recommended to assist the candidate in preparing for the CIOWTS examination. 3. Residential Building Design & Construction. Jack Willenbrock, Harvey Manbeck, and Michael Suchar, (1998) Prentice-Hall. 5. 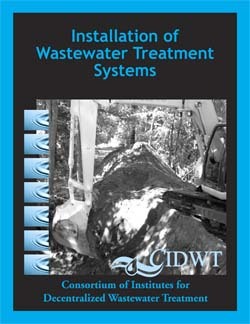 Small and DeCentralized Wastewater Management Systems. Crites & Tchobanoglous. (1998) McGraw-Hill. 6. Wells and Septic Systems, 2nd Edition. Max & Charlotte Alth, Revised by S. Blackwell Duncan, (1992) TAB Books. 7. Plumber’s Handbook Revised Edition. Howard Massey (1978).